Apple and Qualcomm have hammered out a deal, concluding a high-stakes patent licensing trial scheduled to start on Tuesday before it even really began. The deal between the pair was reached on Tuesday, and announced in a press release. The deal ends all ongoing litigation, including Qualcomm's suits against Apple's contract manufacturers. Included in the deal are a global patent license agreement, and a chipset supply agreement. Tuesday morning, prior to the announcement of the agreement, Apple had made its opening arguments in court. Apple drew parallels to Qualcomm's "no license, no chips" business model akin to a Kentucky Fried Chicken restaurant that wouldn't sell food to customers before the customers bought a license to eat the food. "You first have to go over to this different counter, KFL - Kentucky Fried Licensing," Apple attorney Ruffin Cordell said to the assembled jury and Judge Gonzalo Curiel. "You have to go pay that 'eating license' fee before they'll sell you any chicken." Qualcomm had just begun opening arguments when word arrived that a settlement had been reached. The company was alleging that the trial and associated international legal actions were "planned in advance, every bit of it," and was part of a long, premeditated, campaign to weaken Qualcomm, with the goal of hurting it financially. "Out of a $1,000 for that phone, what they're not paying us is $13," Qualcomm attorney Evan Chesler said. "What would your iPhone be worth to you if you stepped five feet to the right and the call dropped out? That's Qualcomm, not Apple." Specific terms of the deal have not been made public, beyond Apple paying some amount, and a licensing agreement for either six or eight years. Neither Apple nor Qualcomm have made any statement on the matter as of yet, beyond the press release. The sudden announcement made an impact on the stock price of some of the companies involved in the lawsuit. Qualcomm saw its price shoot up from a fairly flat $58.05 at 2:55 p.m. eastern to $66.56 at 3:10 p.m. before sinking back down, while Intel endured a sudden plunge from $57.42 at 3 p.m. down to $56.33, a low for the day. Apple saw a slight dip down to $199.50 at 2:55 p.m., rising to $200.08 ten minutes later, then briefly hitting $200.24 at 3:15 p.m.
At the 4pm closing bell, Apple ended the trading day at $199.25, Intel failed to recover from the drop and finished at $56.73. Qualcomm ended at a high of $70.57, its highest closing price for 2019 so far. In January 2017, Apple filed a lawsuit against Qualcomm, alleging the chip producer had withheld approximately $1 billion in royalty payments to Apple, in retaliation for cooperating with South Korean antitrust investigations, along with claims of extortion, monopolistic practices, and price gouging. In the suit, Apple claimed Qualcomm insisted on charging Apple "at least five times more in payments than all the other cellular patent licensors we have agreements with combined." Apple's lawsuit followed shortly after the U.S. Federal Trade Commission stepped in with its own suit, accusing Qualcomm of forcing Apple into a baseband exclusivity deal from 2011 until 2016, by offering lower royalty payments in the form of rebates. The following April, Qualcomm made its own filing with the court denying Apple's complaint, accusing it of attempting to pay less than the fair market value for access to Qualcomm's standard essential payments, breach of contract, and wrongly inducing regulatory action in a number of jurisdictions, among other issues. Once the exclusivity period ended, Apple started to diversify its modem suppliers to include Intel, but this partnership was also a source of issue for Qualcomm. 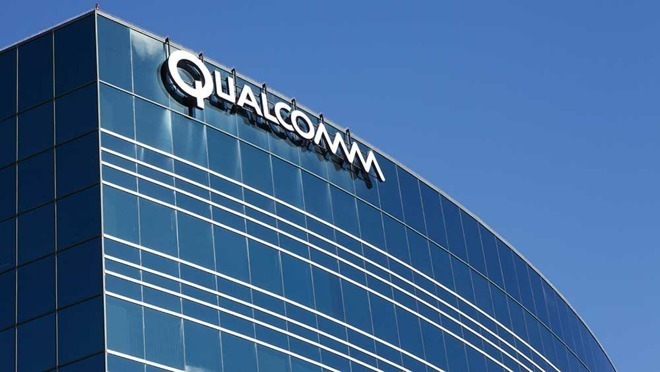 In a filing from September 2018, Qualcomm claims Apple stole trade secrets relating to its intellectual property that it provided to Intel, specifically software used to improve the performance of its baseband chips. The FTC court action has concluded, but is still awaiting a ruling by Judge Lucy Koh. That ruling is unaffected by the agreement signed on Tuesday.